Batman: The Dark Knight Returns, Part 1, the next entry in the popular, ongoing series of DC Universe Animated Original Movies, is produced by Warner Premiere, DC Entertainment and Warner Bros. Animation. The all-new, PG-13 rated film arrives September 25, 2012 from Warner Home Video as a Blu-ray™ Combo Pack and DVD, On Demand and for Download. The Blu-ray™ Combo Pack will include UltraViolet™. 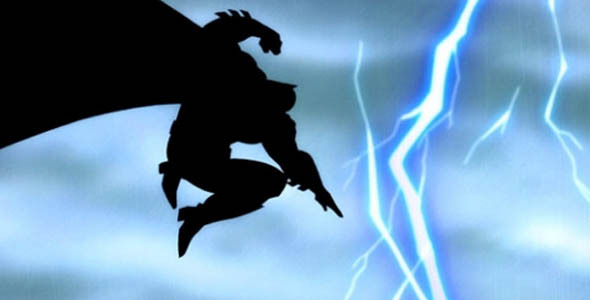 SDCC: Frank Miller's BATMAN: THE DARK KNIGHT RETURNS to be an animated feature. FOG! Chats With Writer MATT WAYNE About MILESTONE COMICS’ 20th Anniversary and the Late, Great DWAYNE McDUFFIE!